Ayurmana Centre for Advanced Healing is perched atop the eternally serene and peaceful hillock of Dharmagiri, overlooking green topped highlands. As you enter dharmagiri, it steals you away into a whole new world of ethnic charm. 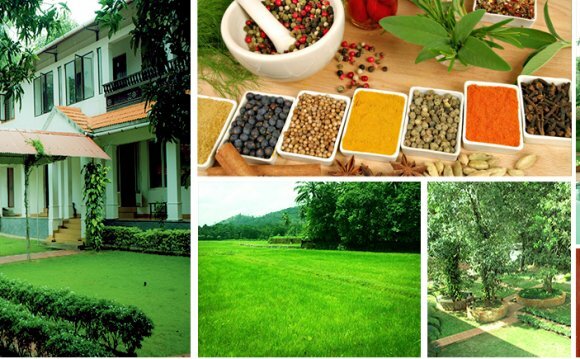 Sprawling across 2 acres of scenic hill country, the bird songs and lush garden landscape with all the ethnic fruit and vegetable foliage in quiet coexistence with flowering plants provide the perfect environment for the unique experience of healing on offer, at this finest Ayurveda Hospital in India. At Dharmagiri, you can get away, forget the world and let the therapeutic powers of the most admired and valued Kerala Ayurveda treatment in India restore your whole being – body, mind and soul.